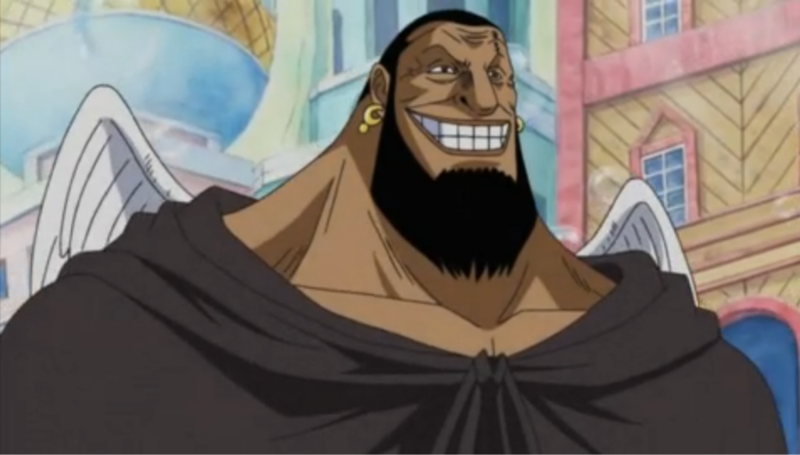 Today we will be talking about a character that has intrigued me as of lately, hence the title being Mad Monk Urouge One Piece. A member of the twelve pirates called the Worst Generation and a captain of the Fallen Monk Pirates, he is the only Supernova with wings in his back, which is natural as he comes from a Sky Island. His wings are similar to those of the Skypieans we have seen, but seem to resemble those of Birkans much more. He is the tallest and oldest(47) of the Supernovas, and the Fallen Monk Pirates is the first crew that has its origins in an unnamed sky island. The mad monk seems to be smiling all the time, nothing taking his smile away from his face. Nothing but two instances. He was shown not smiling, when he was praying, right before Kaido jumped from the Sky Island he happened to meet him. The other instance he lost his smile, was when he saw the lightnings in the Raijin Island when he arrived there with his crew. Lets keep this in mind for later. Urouge is a powerful pirate, worthy of the title of the Supernovas. He has eaten a devil fruit, which lets him increase his strength and even his body size, when he suffers damage. Thus, he gets stronger every time someone hurts him. His fighting style is fitting to his devil fruit, using punches and generally physical attacks. He also wields a type of mace, which essentially is a pillar with a hexagonal base. Oda is supposed to have said, that this weapon is actually an oversized pencil! We have all been amazed recently, by the fact that he was able to defeat one of Big Mom’s Four Sweet Commanders, who are considered to be second in power only to her. However, he was later defeated by another Commander, Charlotte Cracker. Nonetheless, the feat of defeating one of her commanders was impressive, especially since he has been really underestimated in the past. As well as that, even though defeated and wounded, he managed to escape from his defeat alive. The Mad Monk and his crew visited the Raijin Island in their first journey into the New World. Could this be random? Or is it possible that they had some motive in their minds? Lets start off with some necessary background. Remember Punk Hazard? It has become half ice and half magma, right after the fight of two (maybe awakened) logia devil fruit users, Ao Kiji and Akainu. So, how is this related to Raijin Island? Raijin Island means the island of the lightning god. Furthermore, as we have already seen, lightning rains all the time there. Lets connect some dots here. could have changed due to a really powerful devil fruit eater, like Enel, going all out. Just like Punk Hazard. So, here we have two scenarios. There are basically two possible scenarios. First of all, we do know that Enel destroyed his home island, the island of the Birkans. This island was supposed to be in the sky, at least from what we have been told by Oda. One scenario says that what we have been told is right, and Enel actually destroyed the birkans’s sky island. To do that, he could possibly have used the awakened form of his devil fruit. What if that island of the Birkans was right above the Raijin Island? Enel used all his might to destroy the island, attacking it with his unstoppable thunder and lightning. 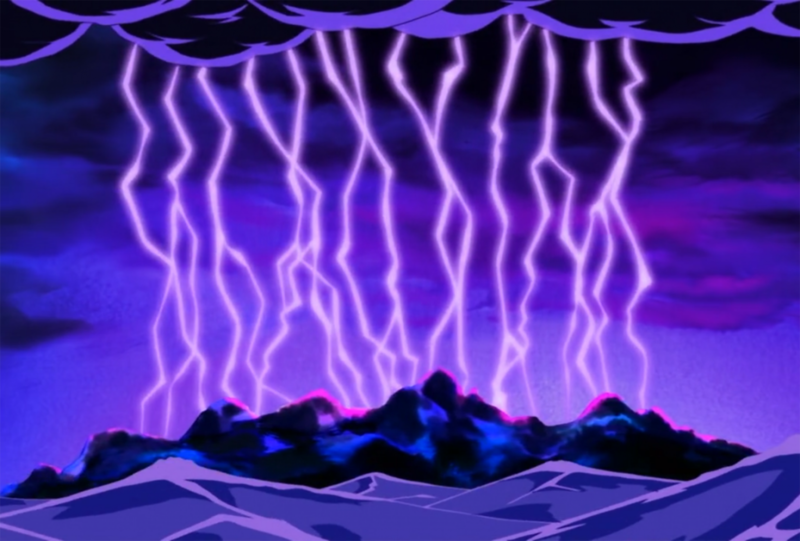 The effects of his attacks also reached the island right below the sky island he was trying to destroy. That way the climate of the island below changed, and that’s how it became the so called Raijin Island. The island where everyone feared the lightning god and his attacks, Enel. 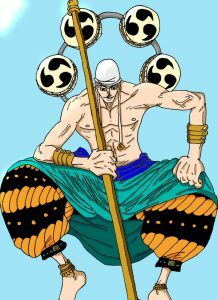 Another second interesting idea is that Enel is just not a Birkan. He doesn’t even have wings, if i remember correctly. That’s why he didn’t care about destroying the birkans’s island at all. But we’ll elaborate on this one and Enel as well in another post. What we said about Enel and Raijin Island is nice and well. But what is the connection of the story with Urouge? Well, Urouge is actually descended from a Sky Island. Furthermore, it can possibly be that he and his crew are Birkans. What if Enel was the one who destroyed their homeland? Maybe even obliterated and killed their families? Wouldn’t it be only natural, that Urouge and his crew would want to kill Enel and avenge the destruction of the Birkan Island? Moreover, the fact that fate brought them to the Raijin Island, may mean two things. One, that if they knew about Enel, they would be reminded of what he did. And two, should they know nothing about who did it, they may learned there, that the hated person they should target is Enel. The fact that Urouge had a low bounty to begin with, resulted in him being greatly underestimated in terms of power. However, i don’t really think he is weak. On the contrary, he seems to be a force to be reckoned. The reason though he has a low bounty, is the fact that he comes from a sky island. He and his crew came to the radar of the World Government and the Marines only recently. There wasn’t even enough time for them to gauge their powers, or rate his bounty higher, because he didn’t even hurt any civilians, something the World Government deems quite important for the bounties. After all, the fact that he faced Killer and a Pacifista without having too much trouble in the Sabaody Archipelago arc, and the fact that he defeated a commander of a Yonkou, have already shown his true powers. 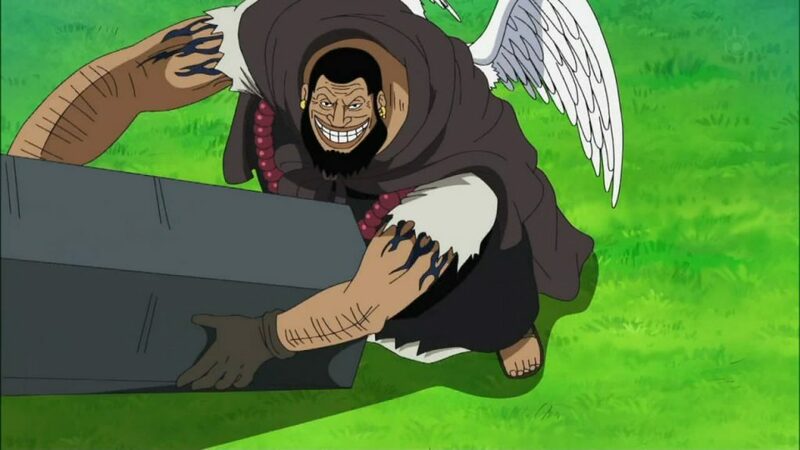 So, that were our ideas today about the Mad Monk Urouge One Piece. 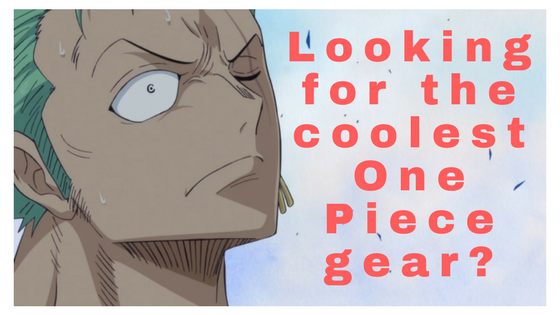 Share your ideas in the comment section below, like our facebook page for updates and don’t forget our recommendations page, for our best One Piece goodies :). I never got to watch One Piece. 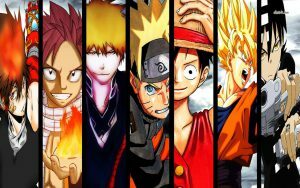 I was always more of a fan of DBZ and Naruto. I’ve watched the first couple episodes and they seemed completely boring, but it seems i missed out. The most interesting part of this review for me was when you mentioned Devil Fruits and awakenings. Could you elaborate a little on the awakened form of the Devil Fruits? How does one awaken their devil fruit, and what happens? Is it just a straight power increase, or new abilities? Thank you for putting another anime on my list, haha. Hello Nemanja. Glad you liked the post and i’m happy i brought one more person to the One Piece universe :). The downside of One Piece is that it sometimes is slow paced, so i see how and why you got bored. However, the story is so good and the characters as well, that in the long run, it becomes a love. Regarding the awakened devil fruits, the users basically become so good in using their devil fruits, that unlock new abilities and ways of fighting. You can always check our article on awakened devil fruits,i you are jungry for more. Also, give a like to our facebook page for future updates. Cheers! Wow! Mind blown is all I can say! Good information about anime. I wish I knew more. My grandson is really into this stuff, and he knows it in and out. Your site will be a good one to recommend for him! The destruction of birkans was a device used to awaken enel’s devil fruit powers. Urouge was really from birkans and he even personally know enel, and enel knows about him two. They personally know each other because urouge was enel’s attendant when enel was young as enel was treated as the prophesied child who will fulfill their wish of building the vessel of which is the gold ark that will bring the tribe back to their mother planet, the moon. That’s what I’m thinking. Love the idea about the Golden Ark of Enel! Beautiful inputs my friend!